While Hotel Transylvania lures in moviegoers at the box office, real-life Transylvania, Romania, beckons thrill-seekers on the hunt for former haunts of Vlad Dracula – the legendary, bloodthirsty, real-life prince who was born here, came to rule the neighboring province of Wallachia, and, while not a vampire, managed to gain immortality as the inspiration behind Bram Stoker’s Dracula character. Recently back from a one-week driving tour through this fabled Romanian region, a cradle of superstition and dark tales, Transylvania’s real thrills ultimately came in the form of sharing the roads with maniacal drivers (we dubbed them “Romaniacs”), roaming farm animals and stuck-in-time horse carts, and packs of stray dogs (not quite werewolves, but we’ll take it), and less from hexing gypsies and blood-sucking vampires. 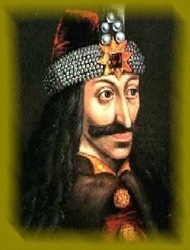 Long before he was depicted to be sucking blood, Vlad was sucking his thumb in Sighisoara. This well-preserved 16th-century medieval fortress town (pictured above) pays tribute to its most infamous son with a bust of him, tucked behind the hilltop citadel’s Church of the Dominican Monastery. Plus, look for a plaque that memorializes the site where we has born back in 1431. Today, that birth-site building (a reconstruction from the days of baby Vlad) is the Casa Dracula restaurant – order up some succulent meats or red wine to get in the mood. The building also contains a small museum of medieval weapons. Then, wander next door to the medieval clock tower for its history museum and creepy torture instruments display ($3 gets you access to all three museums). Set on a strategic border between Romania’s Transylvania and Wallachia regions, this 15th-century cliff-top citadel was built on the backs of Turks taken as prisoners of war, on the orders of Vlad Tepes himself, with a strategic position overlooking the foothills of the Carpathian Mountains (and somewhat cheesy depictions of Vlad’s impaled victims). A vigorous climb of more than 1,400 steps leads to the ruins of the castle, where visitors can follow in the footsteps of Dracula while surveying the land he once ruled. (Tickets can be bought for $1.50 at the top of the steps.) Pop into the small nearby village of Arefu, purportedly populated by descendants of folks who had once been in direct service to the Count, and for even more thrills of the contemporary ilk, continue through the Carpathians to Transylvania via the Transfagarasan Road, a serpentine mountain pass offering white-knuckled, adrenaline-seeking drivers the ride of their lives.